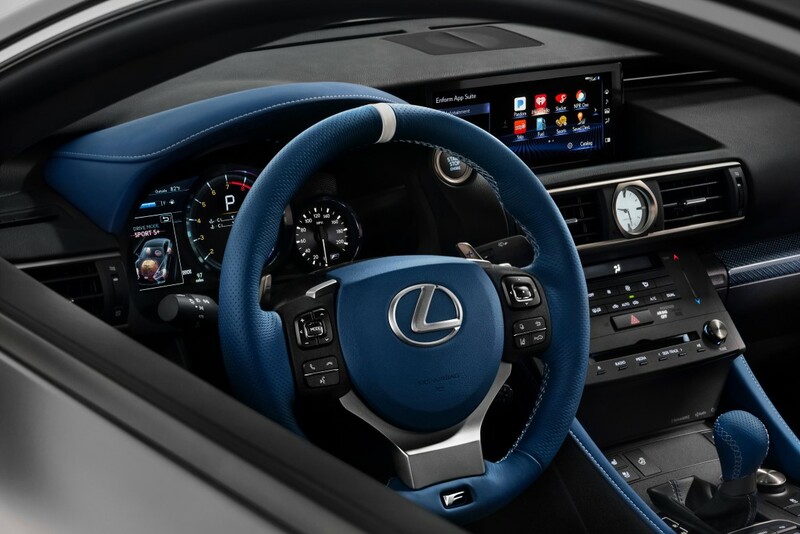 The interior displays and even bolder application of the colour, with an exclusive Blue Carbon theme. 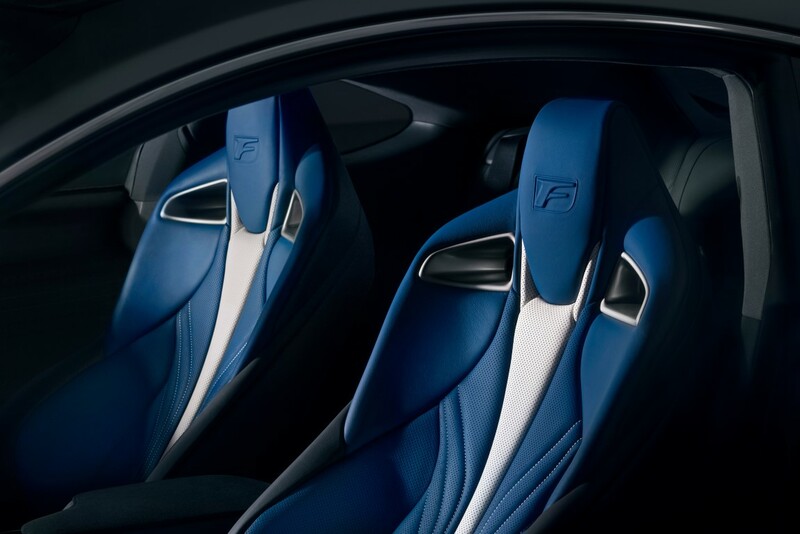 The highly supportive front sports seats are finished in vivid blue semi-aniline leather with white accents and the F symbol embossed in the integrated head restraints. They are also incorporate heating and ventilation functions. 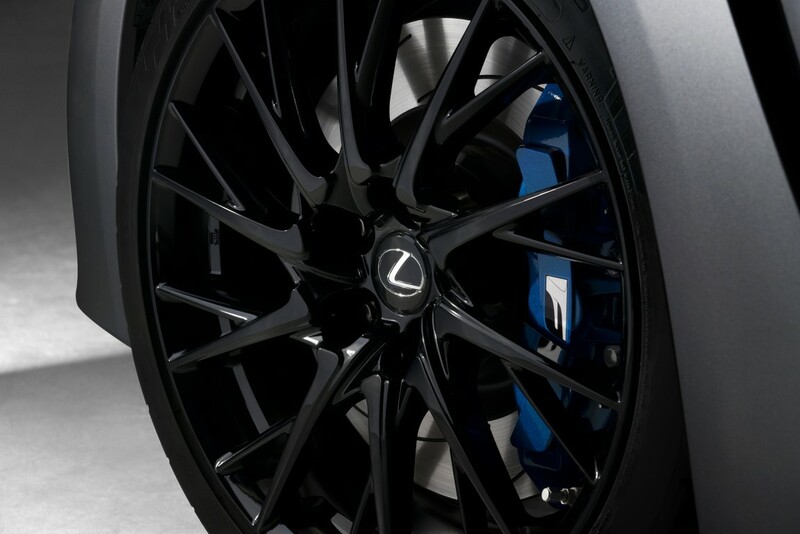 The IS F was the first Lexus F model, launched in 2008 with a compact, naturally aspirated 5.0-litre V8 engine that was developed specifically for the car. This unit produced a maximum 417bhp and was capable of acceleration from rest to 62mph in 4.8 seconds. 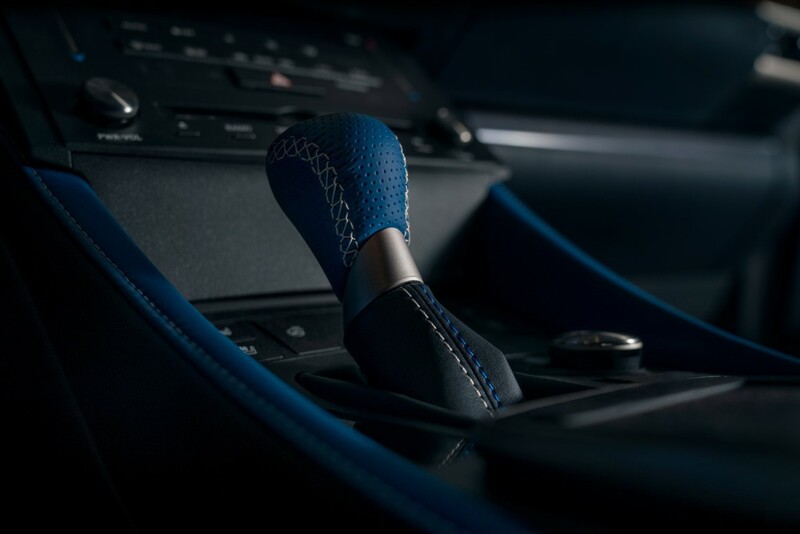 It was matched to an eight-speed Sport Direct Shift transmission which, in its day, delivered the world’s fastest shift speed – just 0.1 seconds. 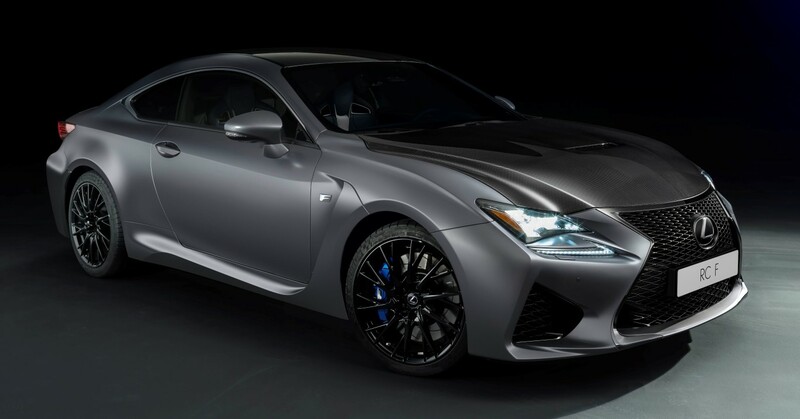 In 2014 Lexus moved to the next chapter in its F programme with the IS F making way for the more powerful RC F, based on the RC coupe. The V8 powertrain underwent extensive changes that delivered an initial increase in output to 471bhp (subsequently adjusted to 457bhp to comply with emissions standards). The SPDS transmission offered no fewer than six driver-selectable modes, including a G-sensor AI-Shift control for high-performance sports driving. The performance blueprint executed for the RC F was applied to GS saloon in 2015, creating the GS F. Using the same powertrain, its handling was further developed in track testing on the famously demanding Nürburgring Nordschleife. 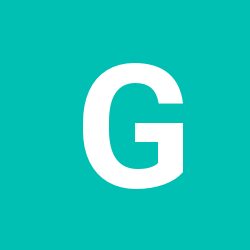 Although it has been honed on the racetrack, the five-seater GS F is faithful to the ethos of the F marque in being a car that is equally amenable to drive whether you are taking on a twisting mountain road, or making a routine, everyday journey.